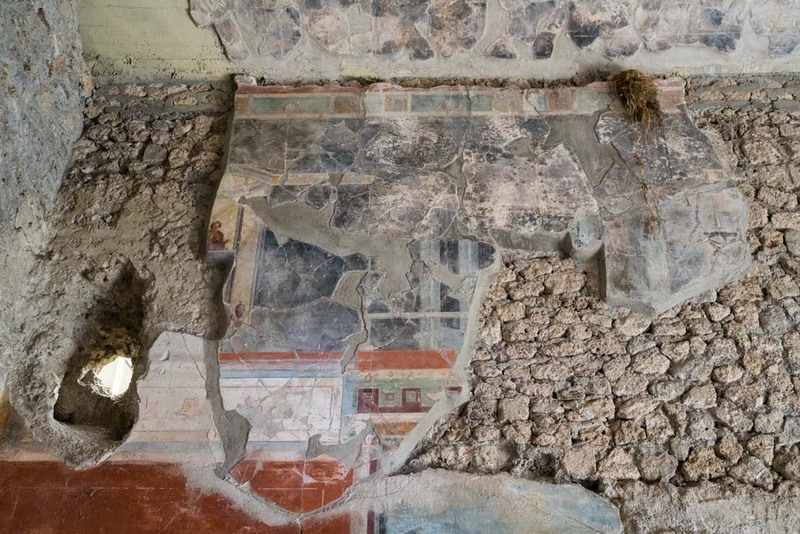 IX.13.1-3 Pompeii. September 2004. Room 12, upper north wall. 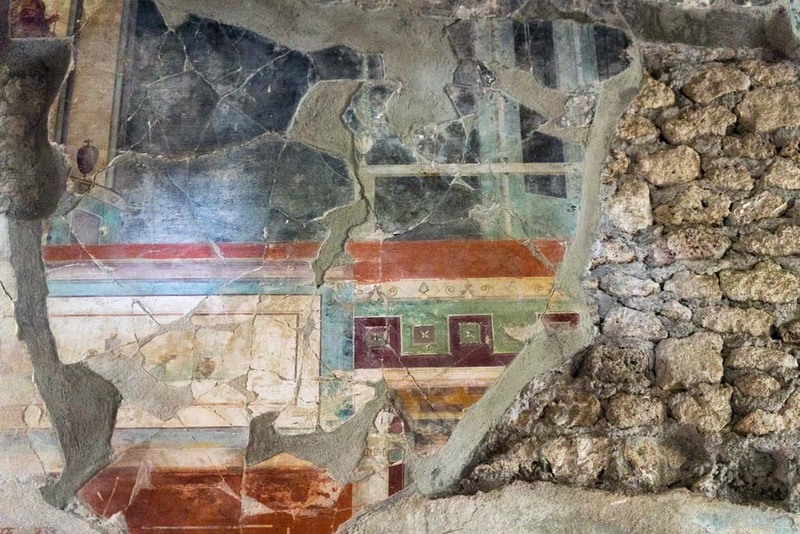 IX.13.1-3 Pompeii. May 2012. 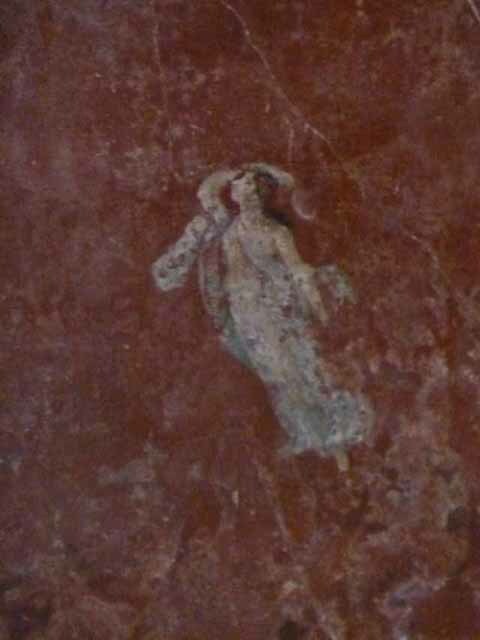 Room 12, upper north wall, detail of painted figure. Photo courtesy of Buzz Ferebee. 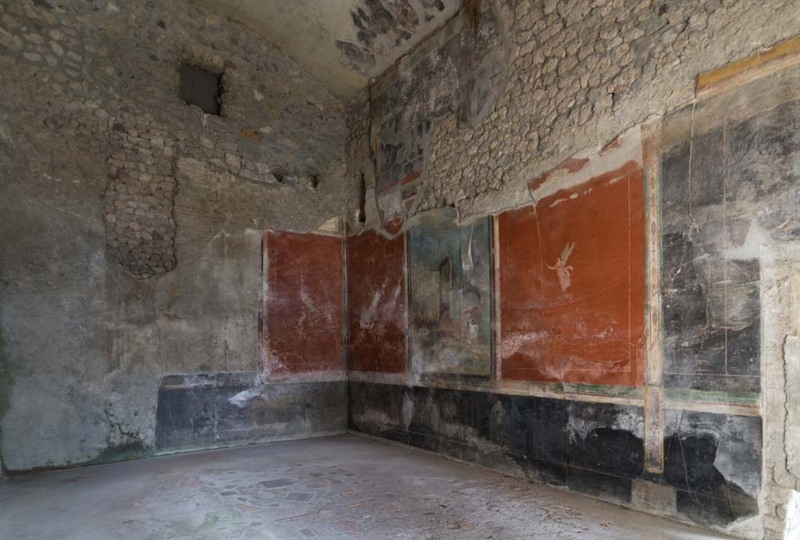 IX.13.1-3 Pompeii. March 2009. 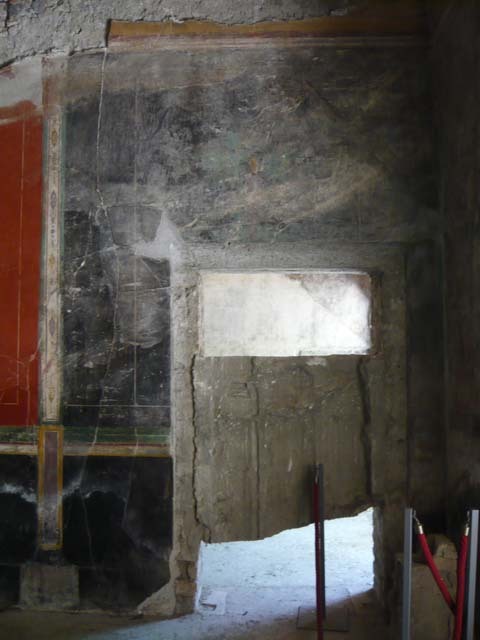 Room 12, north-east corner, with wall painting in centre of north wall. 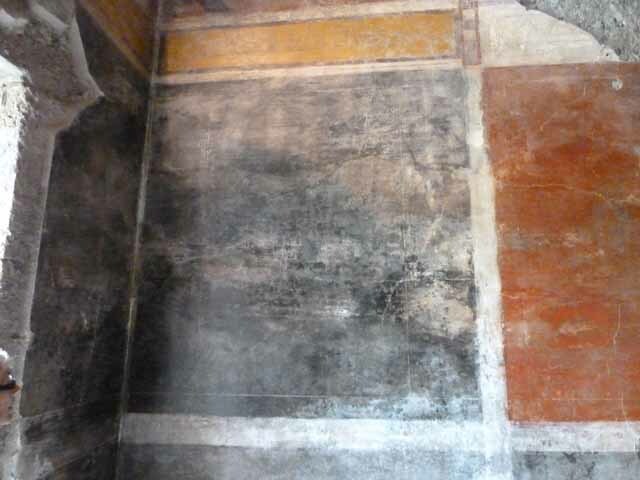 IX.13.1-3 Pompeii. May 2010. Room 12, upper east wall. 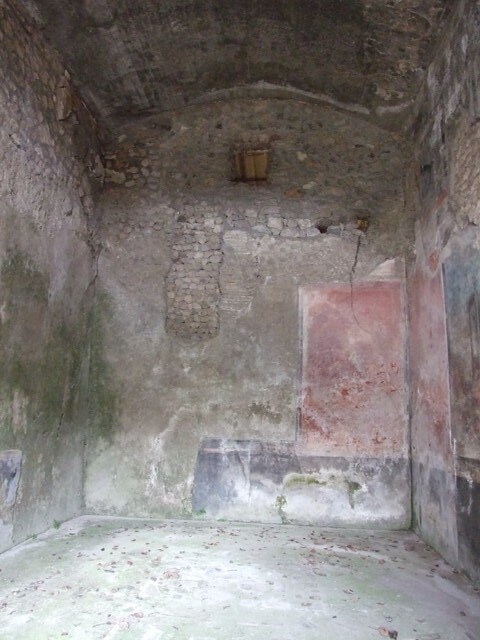 IX.13.1-3 Pompeii. May 2010. Room 12, north east corner. 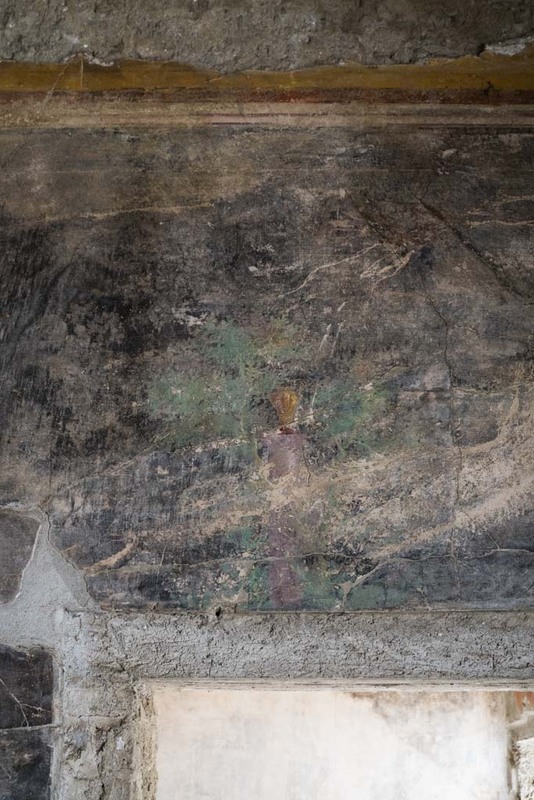 According to Wilhelmina, a similar painting to that on the north-west side was also seen on the north-east side, but was not in a good state. IX.13.1-3 Pompeii. May 2010. Room 12, east wall. 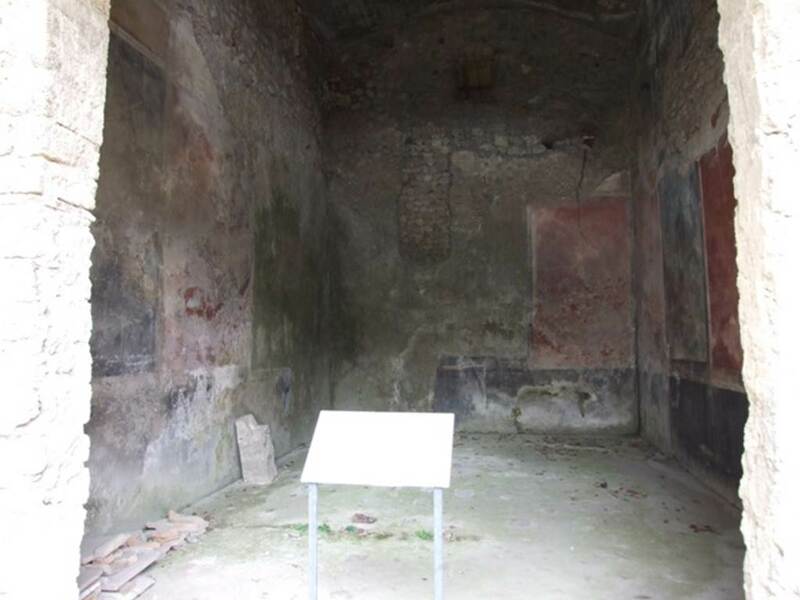 IX.13.1-3 Pompeii. March 2009. Room 13, looking north. 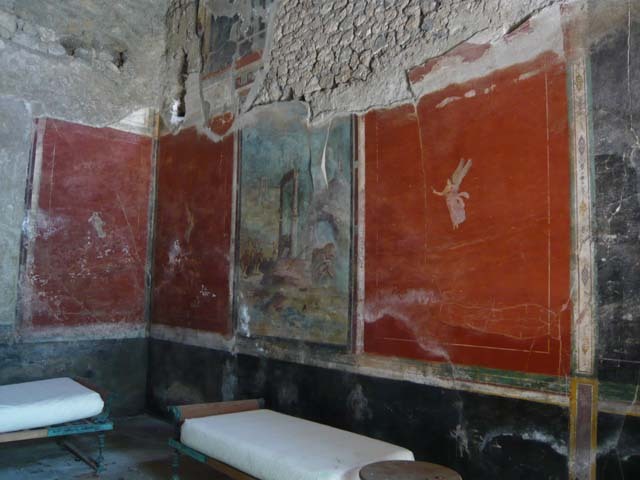 IX.13.1-3 Pompeii. May 2010. 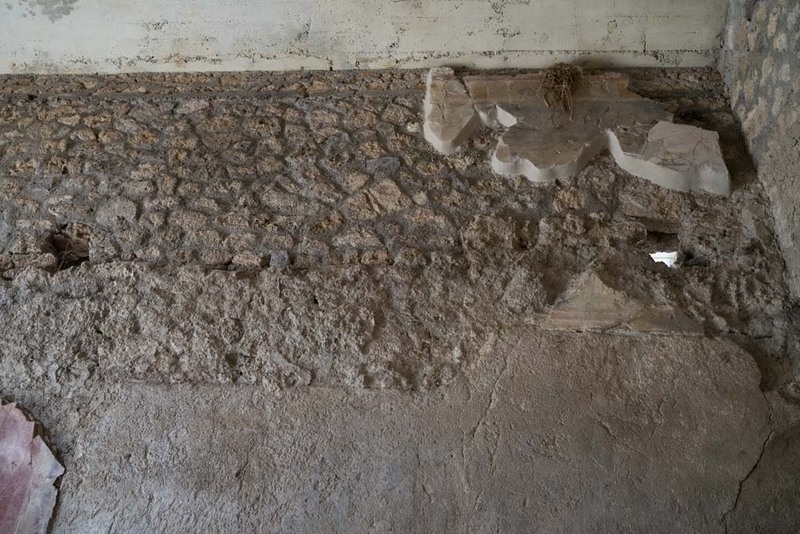 Room 13, west wall in south-west corner. 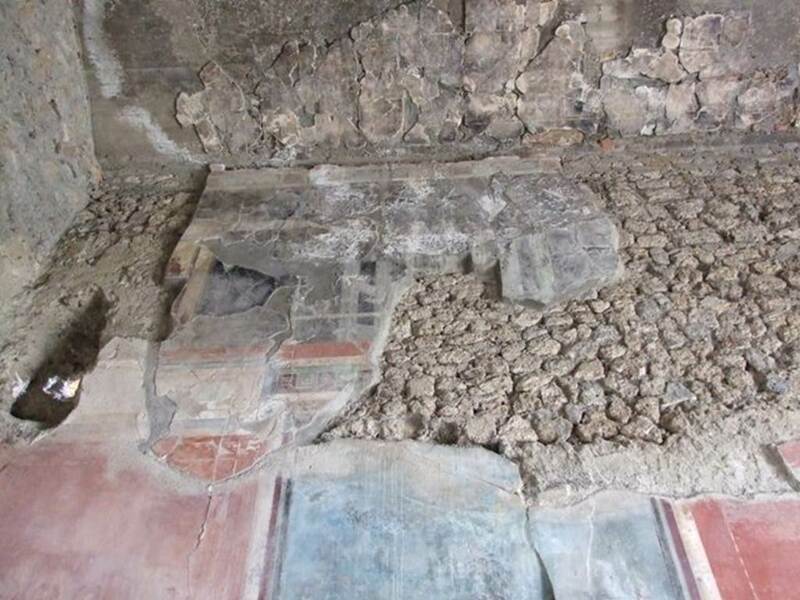 IX.13.1-3 Pompeii. May 2010. 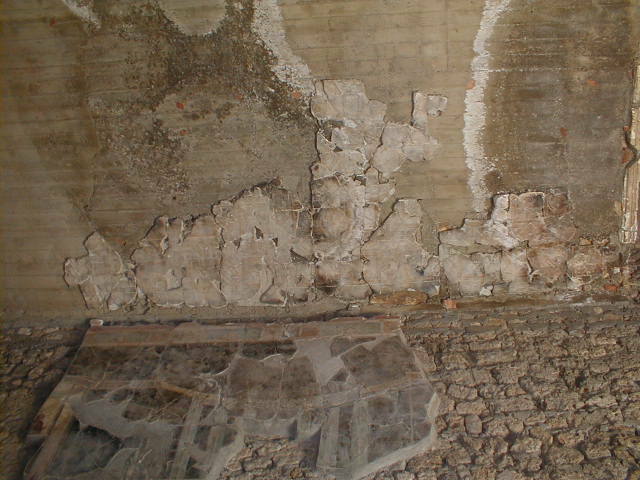 Room 13, west wall, remains of faded floating figure. 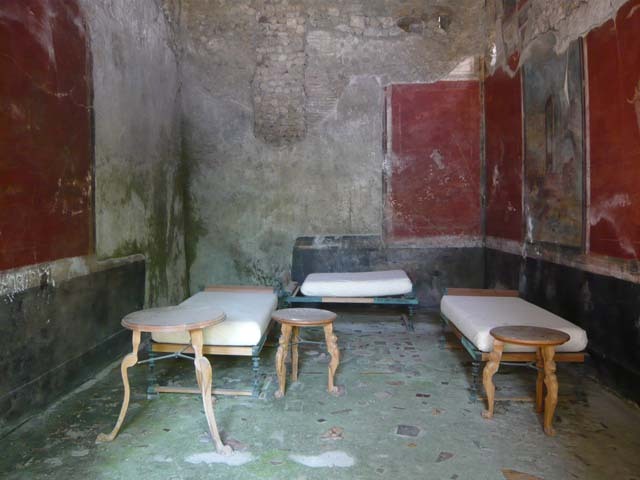 IX.13.1-3 Pompeii. March 2009. 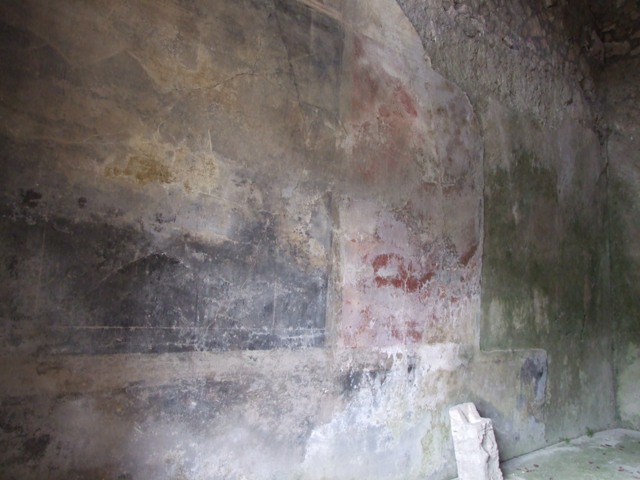 Room 13, west wall. IX.13.1-3 Pompeii. March 2009. Room 13, north wall. IX.13.1-3 Pompeii. May 2010. 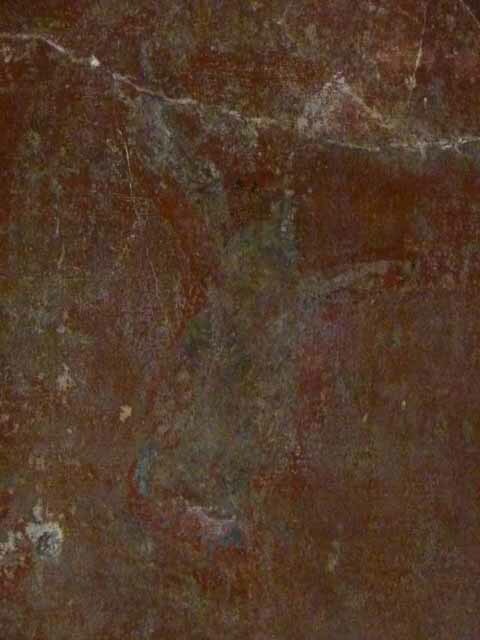 Room 13, north wall, floating figure at east end. IX.13.1-3 Pompeii. May 2012. Room 13, with reproduction dining furniture, looking north. Photo courtesy of Buzz Ferebee. IX.13.1-3 Pompeii. May 2010. 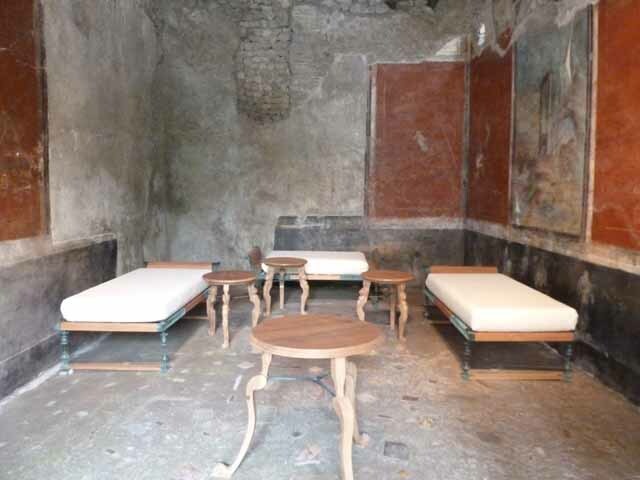 Room 13, with reproduction dining furniture, looking north. IX.13.1-3 Pompeii. May 2010. 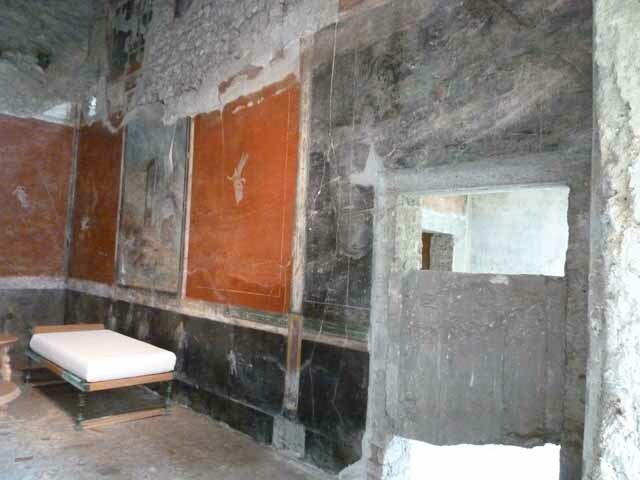 Room 13, east wall, with plaster cast of door. IX.13.1-3 Pompeii. May 2012. Room 13, plaster cast of door in east wall. Photo courtesy of Buzz Ferebee. IX.13.1-3 Pompeii. October 2007. 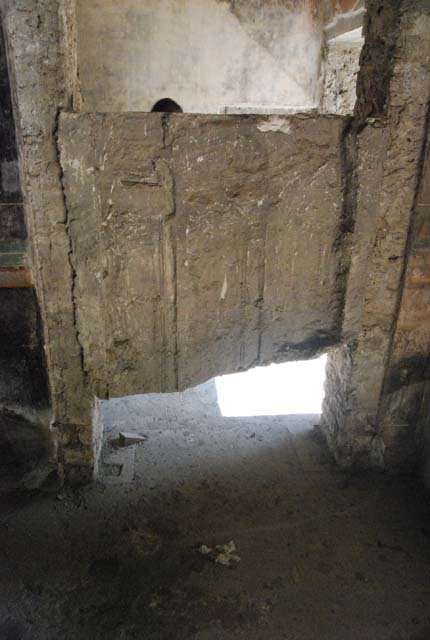 Room 13, plaster cast of door at south end of east wall. IX.13.1-3 Pompeii. March 2009. Room 13, north-east corner, upper east wall. IX.13.1-3 Pompeii. September 2004. Room 13, north-east corner, upper east wall.